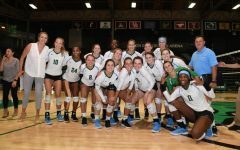 The Tulane volleyball program hosted it's annual Olive and Blue scrimmage Aug. 19. The team includes six freshman, after graduating five seniors and losing two players to injury. 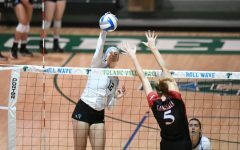 Whether it’s a pass, set or spike, season play for Tulane women’s volleyball is about to be in full swing. 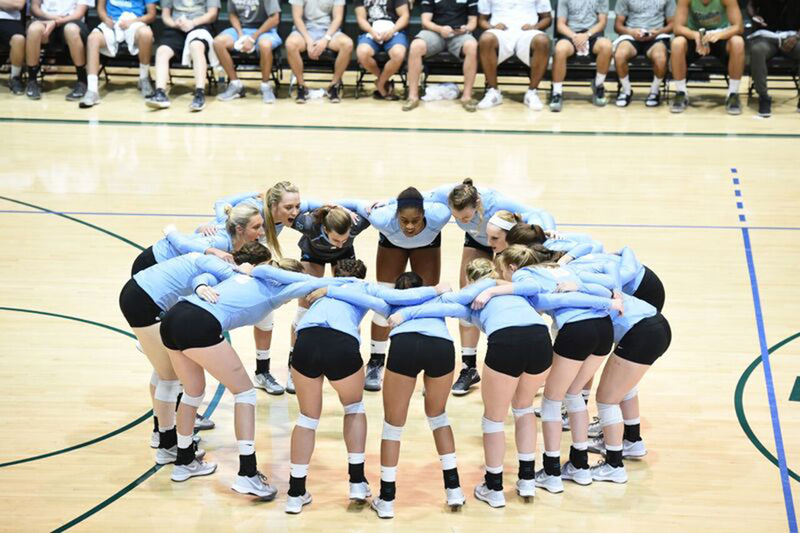 The Olive and Blue scrimmage this past week had plenty of the latter, and Director of Volleyball Jim Barnes holds high hopes for the season, despite the 2017 volleyball squad’s relative youth. “… we’ve learned quite a bit from this scrimmage. And I think that’s the whole deal, from these non-conference tournaments we’re gonna learn a whole deal about this team …” Barnes said. 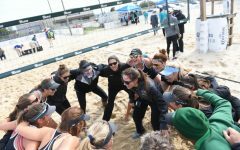 In only his second year coaching, Barnes has been able to steadily improve the Green Wave volleyball program, but this improvement is not solely reflected by his players. When asked what expectations he holds for himself this coming season, Barnes’ foremost priority is serving his players. “I’m a coach that believes in giving the very best to the players … helping them achieve … helping them have a great experience,” he said. As someone who longs to better his players, Barnes has created a coaching platform that entails the formation of interpersonal relationships among not only the players, but the coaching staff as well. With the ultimate team goal of winning a conference title, then an NCAA title, he will have to call upon some key players in the coming season. Of the players on the 2017 roster, Barnes highlighted Kaylie McHugh, a 5’6″ sophomore libero from Fort Lauderdale, Florida. 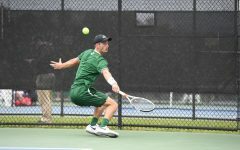 He notes that McHugh, though only a sophomore, is a returning all-conference player and has been voted as one of the team captains. Barnes also highlighted Dayna Kern, a 6’3″ junior middle blocker from Vancouver, British Columbia, was also voted a team captain. Considering that the Tulane offense relies heavily on its production through the middle, Kern has a chance to make a big impact this season. With McHugh and Kern as a foundation, Barnes will be able to build up his team, aided by a promising group of freshmen. Kristen Thompson, Lexie Douglas and Jenna Ibieta, right side hitter, outside hitter and setter, respectively, are three freshmen in the starting lineup. 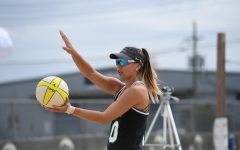 Thompson and Ibieta are both Louisiana natives, but all three will play vital roles for the Green Wave volleyball team this year. Though all excelled during the Olive and Blue scrimmage, the new faces on the team will have some adjusting to do when entering collegiate-level play. And the difficulties don’t just pertain to the youth of the team. 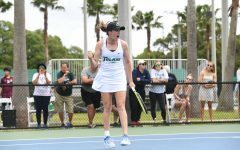 The Green Wave is faced with the challenge of graduating five seniors last season and has also lost two players to injury. But Barnes said he is optimistic about his players’ ability to handle adversity. 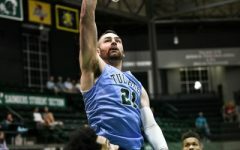 Tulane will play ULL this Friday in Lafayette. “I wish I had another month to prepare … but the players don’t, they wanna play right now,” Barnes said. 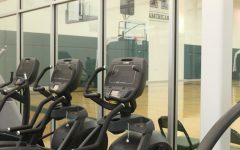 The Green Wave will spend two whole weeks on the road before returning home for the Sugar Bowl Tournament at Avron B. Fogelman Arena in Devlin Fieldhouse.